Social media is not just a way to elevate your brand and market to potential customers. It’s also rapidly becoming one of the primary ways businesses connect with current customers on another level: as a customer support channel. Think about this: customers certainly research brands and businesses online and on social media. They turn to sites like Facebook, Twitter, LinkedIn, Yelp and even Instagram to see what other people are saying about a company before they decide whether or not they’ll become a customer. At the same time, these social media channels are increasingly becoming where people go to seek support and share their opinions. Rather than going through the traditional support channels, such as calling a customer service phone number or sending an email, customers will instead visit, for example, the Facebook page of a company, and leave an inquiry or comment. Download the free whitepaper ‘How social media can help you do your job better‘. 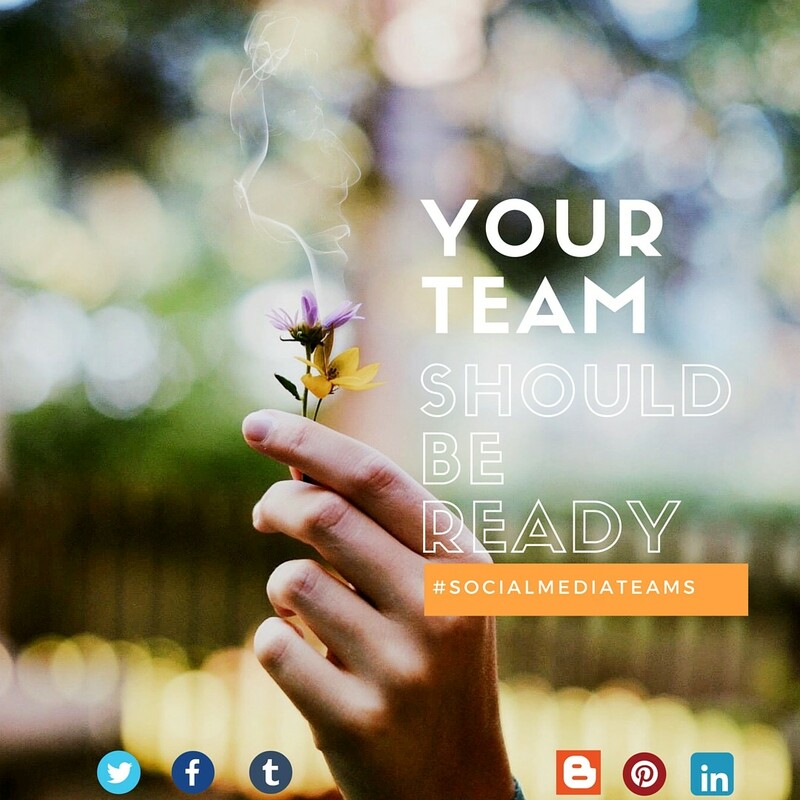 Think what would happen if you don’t have a social support strategy and team in place. That would essentially be like leaving your customer service call center unmanned, and that’s something no business would likely think of doing. So, why would you leave your social media pages unmanned in terms of customer service? It seems pretty disastrous when you think of it in those terms, right? With that in mind, we’ll explore two significant issues. The first is how to create a social support strategy. We’ll then share some tips for training employees on this strategy and how to deliver impeccable customer support, just as they would if they were receiving a phone call or speaking with a customer in person. Essentially every business needs to put in place some level of social support strategy. Of course, it can be tailored to your needs, whether you’re a small business or a larger corporation, but regardless, it needs to be there. Even the smallest of local businesses likely have customers visiting their Facebook page or their Twitter profile, even if it’s just occasionally to ask questions or see if a particular product is still available. Before you can have a good strategy, you need to make sure your profiles are up to par. Social profiles should be complete, reflective of your brand, and you may even want to consider setting up separate pages for customer support, depending on how much traffic your profiles generate. You can create customer support profiles with different contact information or handles, but make sure they appear to remain consistent with your branding. Consider using software that will let you “hear” the conversations on social media. Some of the many available social media monitoring software options include Mention, Brandwatch, Digimind Social and Radarly. When you use a social listening software as part of your support strategy, you can not only deliver better service on social media but also use it to refine other areas of your marketing and customer support throughout all areas of your business. Define what level of support you want to provide directly through social media channels. You may want a strategy that includes a response to every customer inquiry or comment directing them to a phone number or email address, or perhaps you want the conversations to happen directly through social media. Maybe you’ll use social media as a way to gather contact information and then your team will proactively reach out to customers if they’ve commented or asked a question. Determine who will be in charge of social support. Maybe you will have one person from your customer support team who can manage it, or perhaps everyone will be responsible in some way. It’s imperative to define specific job roles and responsibilities, because otherwise, inquiries may end up getting ignored, or customers could receive several differing responses to the same question. You want your social support to be seamless, streamlined and centralized. Consider an administrative dashboard that will give a manager or supervisor a comprehensive view of what’s happening with social support. This dashboard can be a good way to not only monitor general service but also see how individual support team members are performing. Once you’ve designed your strategy, move on to training employees based on what you’ve outlined. Many of the elements of traditional customer service will remain, so make sure any and all employees know to be courteous, how to appropriately and efficiently answer common questions, and how to tackle escalating situations. As well as traditional customer service training, your social support team needs also to be trained on what information they can and can’t provide through a channel like a Facebook profile. These profiles are public, so there needs to be a level of discretion and security practiced by all members of the social support team. Unlike traditional customer support, a social support team should also be trained in the technicalities of their job role, such as written communication skills, spelling, punctuation and more. Train on how to manage a crisis. Social support isn’t only going to be about answering simple questions and responding to satisfied customer, and it’s important to train your employees on how they’ll handle a crisis whether it originates on social media, or it’s part of a larger brand issue. At the same time, you should also make sure employees know how they handle satisfied customers. These people need a response too, in order to ensure everyone feels like their voice is being heard. They’ll appreciate if a member of your team takes the time to respond to them, so don’t forget about the happy ones. Remember, customers expect an almost instantaneous response, particularly on social media. We live in a world where everything happens within seconds, and if your support team takes hours to respond to someone, it’s a problem. Train employees on the time frame they’re expected to respond within, as well as how to determine who responds and when. It’s also a good idea to train employees on follow-up schedules, since following up is central to good customer service in any channel. We’d love to hear your thoughts about social support. Is it something you’re investing time in developing? If so, what have the benefits been so far? If you’d like to read more about social strategies and preparing your employees to provide the best possible service online, continue to part two of this series, which includes some software tools that can be helpful, as well as more employee training tips.